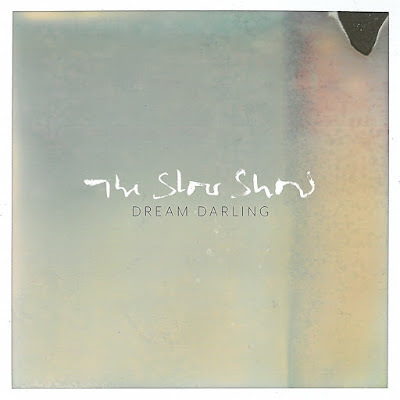 Dream Darling is the new album from The Slow Show, a 5-piece from Manchester that are signed to the German label Haldern Pop Recordings. Their self produced latest record follows up their 2015 debut 'White Water' with the band making music since 2011. Dream Darling features 10 tracks which are mainly piano based, with a sprinkling of guitars, plenty of soaring moments, and all held together and driven by the vocals of frontman Rob Goodwin. There's a clear comparison with his style and that of Matt Berninger from The National, but the important difference for me being the lyrical content of Dream Darling which is much more relatable to those of us from British shores, as well as those of us slightly weary thirty somethings. Goodwin has explained how the album was made by a band who have 'gone through the typical life-changing experiences that men in their late thirties and forties experience', although that being said the music itself sounds so beautiful that it's certainly not the be all and end all if the words don't reach out to you! Dream Darling is a carefully thought out album which sounds equally sparse and all encompassing, cleverly allowing the band to tell their stories not only through the vocals but the music itself too, and for me it's going to be getting regular spins this forthcoming Autumn.